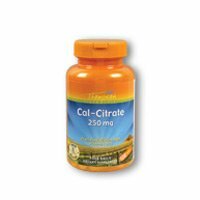 Ultra Cal-Citrate+ w/K2Description:KAL Ultra Cal-Citrate+ is a synergistic 2:1 ratio of Calcium and Magnesium plus Vitamins D-3 and K-2 in easy-to-swallow tablets. Vitamin K2 (MK-7) from Natto, is intended to provide nutritive support for normal bone formation. High potency Vitamin D-3 enhances absorption and utilization of Calcium by the body.Size: 120ct Directions: Use only as directed. Take 4 tablets daily, preferably with a meal or glass of water. Store in a cool, dry place.Serving Size:4 ea 30 Servings per container Ingredients:Amount per serving:% Daily Value: + Total Carbohydrate1g1%Dietary Fiber1g3%Vitamin D (as Cholecalciferol) (D-3)1000250%Vitamin K (as Menaquinone 7 MK-7 from Natto) (K-2)45mcg56%Calcium (as Calcium Citrate)1000mg100%Magnesium (as Magnesium Oxide)500mg125%Key to Ingredients: = Daily Value not established. 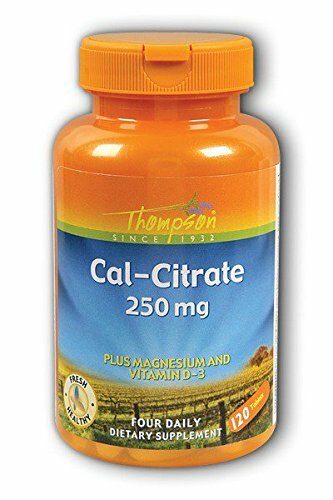 + = Percent Daily Value is based on a 2,000 calorie diet.Other Ingredients:Cellulose, Stearic Acid and Magnesium Stearate. 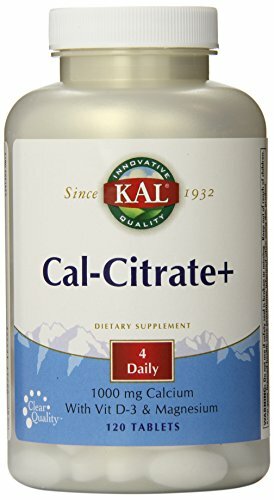 Kal cal mag citrate 1:1 contains calcium which provides nutritive support for normal, healthy bones and teeth, proper nerve impulse transmission and muscle contraction. Some people may prefer, for optimal benefit, to take the tablets in separate doses during the day. Regular exercise and a healthful diet or dietary supplements providing enough calcium help women maintain good bone health and may reduce their high risk of osteoporosis later in life. 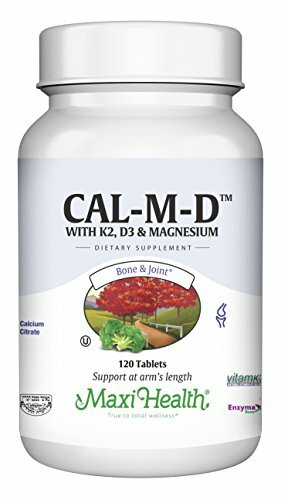 Calcium maintains healthy bones better when taken with magnesium, copper and zinc. 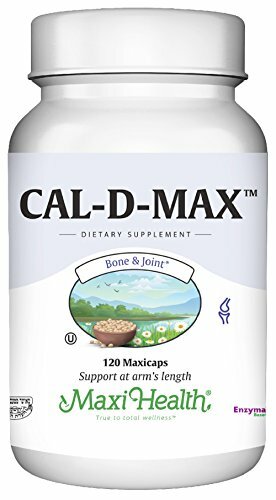 Calcium also supports the normal function of a healthy cardiovascular system. 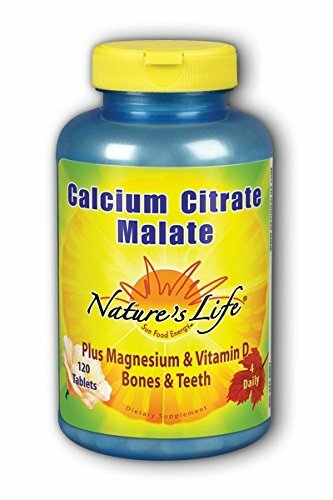 Calcium Citrate/Malate bonds elemental calcium with the fruit acids Malic acid and citric acid. This has consistently been validated as an extremely well-absorbed form of calcium. Did you know that taking minerals with a balance of other minerals and trace minerals can help prevent mineral toxicities, assure proper assimilation, prevent deficiencies and positively balance the chain reactions involving minerals.Trace Minerals Research has developed the newest, most advanced line of mineral supplements ever introduced to the market. Complete Minerals from Trace Minerals Research combine the highest quality minerals with full spectrum minerals and trace minerals form Utah's inland sea, other nutrients, vitamins and herbs chosen specifically to aid in the assimilation, function and safety of each mineral supplement. Read our labels and compare our complete minerals with any other mineral supplements on the market. Complete minerals from Trace Minerals Research make sense, especially after you've read the fine print, and they are even more impressive when you've tried them. So when you need to supplement your diet with Calcium, Magnesium, Chromium or Zinc, make sure you do it the right way. Our New & Improved Complete Calcium & Magnesium 1:1 & 2:1 contain only the finest quality ingredients. A unique blend of calcium citrate, calcium malate, and a specially precipitated calcium carbonate was selected for maximum absorption. Copyright © Wholesalion.com 2019 - The Best Prices On Cal Citrate 120 Tabs Online.